Van Heusen’s VDot Hotstepper Facebook Contest Is Smart! Brands these days are getting savvier with their social media campaigns. Recently, I saw a contest ad on Facebook that really looked tempting enough for a click. An exciting contest with an even exciting incentive! I knew there was an exciting story to cover. I am talking about the V Dot Hotstepper 2.0 contest. And if you are the ‘work hard and party harder’ types then here’s your chance to let yourself loose and party with The Bollywood sensation John Abraham. The ad led me directly to the contest app on the VDot Facebook page. It’s very simple to be a VDot Hotstepper. All you have to do is buy an apparel from the VDot Spring Summer 2012 collection, click a picture of yourself wearing it and upload it on the app. Get your friends and family to ‘Like’ your picture and if your picture is among the Top 50 in terms of ‘Likes’, then you stand a chance to be selected by John himself as one of the 10 Hotsteppers who would get to party with him at one of the hottest club in Mumbai. The 10 Hotsteppers win an all expenses paid trip whereas the rest 40 Runners up get VDot gift vouchers. The first tab ‘Hotstepper’ gives you all the information required, the second tab ‘Gallery’ showcases the pictures that have been uploaded. You can ‘Like’ them and also share them with your network. Also, you can see the Top 10 entries if you click on ‘Leaderboard’. The third tab ‘Participate’ as the name suggests allows you to participate. Along with the details, you also have to enter the bill number and date, while you upload a picture. Don’t forget to read the rules & regulations given here, before you click on Submit. Call for action: When I had clicked on the ad, it took me directly to the contest app and not to the wall (or to the landing page which was the case in some earlier apps I had reviewed). An ad should ideally take one to a place where he can then act on it and provide value to the brand. Concept: With VDot, the premium clubwear brand of Van Heusen and John Abraham as the brand ambassador, the concept is a winner. It not only encourages its fans to check out the 2012 Spring Summer Collection but also gets you to buy them. This is indeed a smart move, wherein you build a community of fans that are interested in what you produce, and not just joining your community for that freebie in some contest. Like: It is not a ‘like’ campaign, which means that I could participate in the contest without liking the page. ‘Like’ campaigns are required if you need to increase your fan count, but what matters is the ‘quality’ of ‘likes’ that you gather; after all they form the community that you have to nurture. However, forcing ‘likes’ does not do any good for the brand. Design & Execution: An easy layout with clean design, complete with information and instructions. The navigation is simple and you are not lost at any stage. Although, this feature comes across as a doable one, all apps do not follow it. I have been at my wit’s end trying to find my way through some apps. Facebook Guidelines: The app did ask me if it could post updates on my behalf and allowed me to proceed even when I skipped it. As per Facebook guidelines, an app should give access to the user to be able to choose what he wants to display, and not forcefully post on his behalf. Greater Visibility: One can share pictures with friends and get the word around. Another simple feature but strangely not implemented by many apps. I fail to understand why have contests on Facebook and not provide for sharing in the social network. I’m really delighted these days with the kind of apps that are being designed, reflective of a more ‘evolved’ social media practice. However, along with well-executed apps, the system also needs to nurture a mature approach to building virtual communities. And this can happen only when we transcend beyond the ‘like’ outlook and look from a higher vantage point. 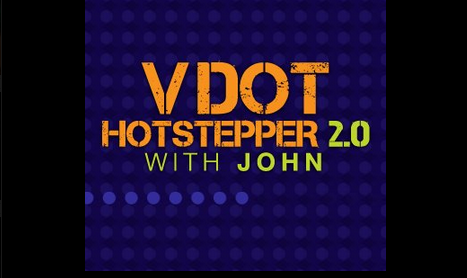 What do you think about the VDot Hotstepper Facebook campaign? Is there something they could have improved upon? Canon India ‘What Makes Us Click’ Facebook Contest Clicks!